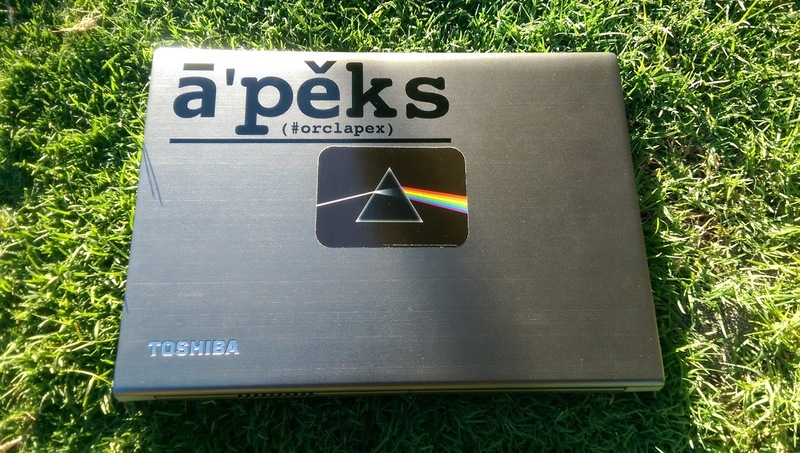 Grassroots Oracle: apeks sticker, check. There are some stickers are out there causing quite the sensation in the Oracle APEX Twitter community. Check it out and join the conversation. A couple of weeks ago I received my sticker from the master dealer, Juergen, so I thought I'd share my pimped up laptop, complete with sticker friend. Fun fact: the photo was taken on the same grass that formed my blog's title image. And now I also learn that Juergen as started an APEX podcast! Kudos to you, sir!